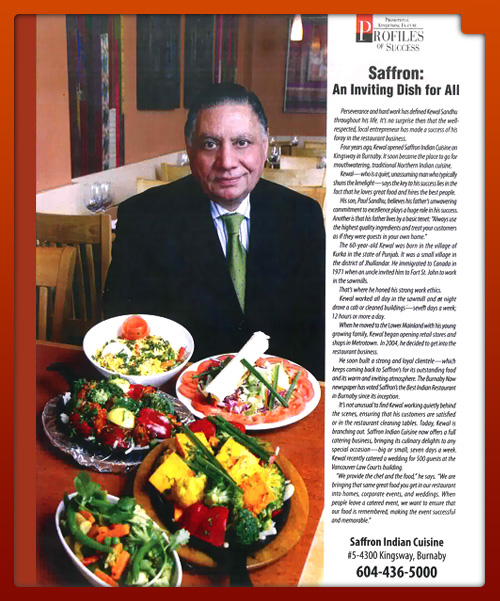 Voted Best Indian Restaurant by readers of the Burnaby Now. 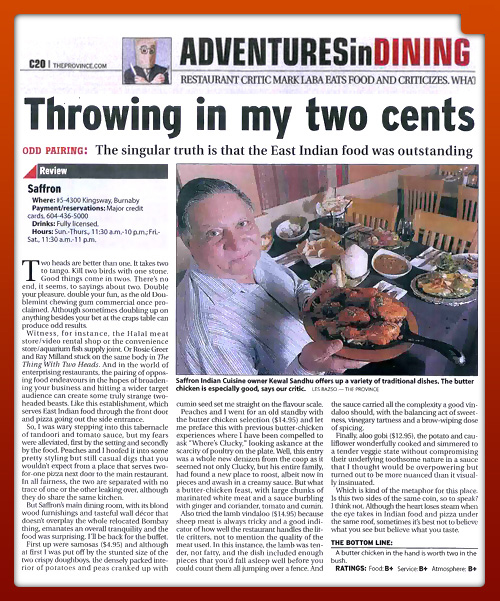 The Province Review (October 2nd, 2008) -“The singular truth is that the East Indian food was outstanding”. 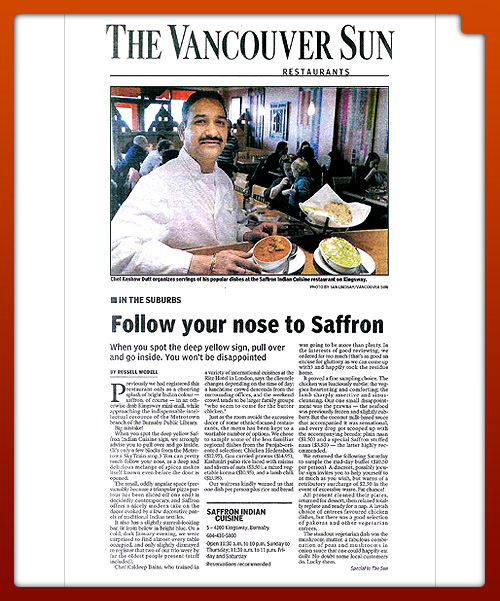 Vancouver Sun Review (January 31st, 2008) – “Follow your nose to Saffron). 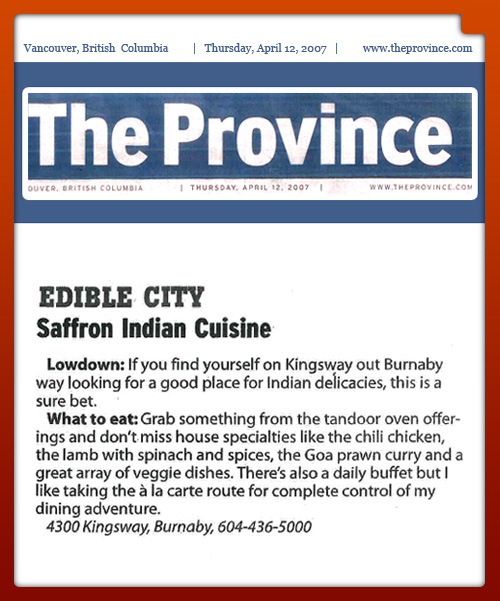 Edible City - Saffron Indian Cuisine: The Province. Hospitality is Embedded in Indian Culture: The Province.